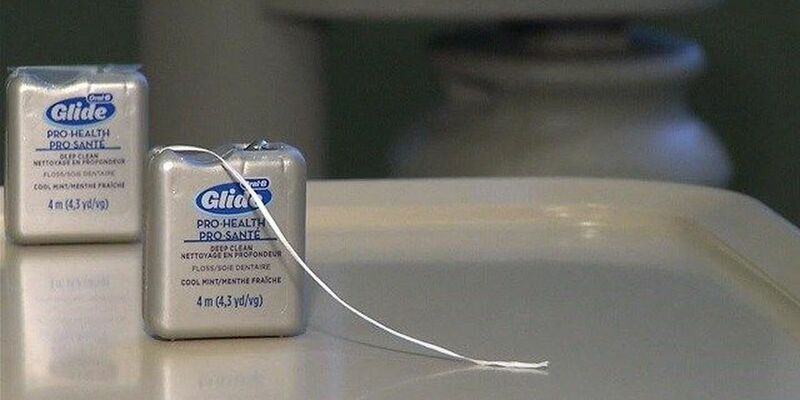 TYLER, TX (KLTV) - The government is now acknowledging that there is little evidence to suggest flossing your teeth provides any added benefit to dental health. "I feel like it's the routine. You can tell when someone doesn't take care of their teeth," said student Sara Coots. In fact, when the federal government issued its latest dietary guidelines this year, flossing was no longer one of them. "It was just like folklore that was passed down. Sometimes it's right. Sometimes it's not," said Daniel Jones, Professor and Chair of Dental Sciences, Texas A&M College of Dentistry. A review of the latest evidence showed the idea that floss can clean teeth or protect the gums is 'weak' and 'inconclusive'. "We can't make a recommendation because the way we've decided that we're going to do this as our recommendations and our guidelines, they have to be based on scientific data," Jones said. In fact, other studies show it can actually damage health, causing harmful bacteria to dislodge from in between the teeth and enter into the bloodstream. "There's not good evidence that it works. There's not a lot of evidence that it doesn't work; there is just not a lot of evidence," Jones said. Jones said there is evidence from the 1950's and 1960's that shows if you can keep bacteria from forming on teeth, it decreases that chance of tooth decay and gum disease. "Brushing and flossing does that. So no one bothered to go in and do a well-controlled study that show that," Jones said. Jones believes the flossing recommendation will eventually be added back once more studies are done. Until then, he says there are still plenty of reasons to hang on to that floss. "No one wants to go out with a piece of spinach in their teeth, and we know for sure brushing and flossing has a beneficial effect on your breath," Jones said. Jones said he still recommends that you floss twice a day. Once in the morning and once in the evening after you brush your teeth.